Unsurprisingly, Trump’s moves have made upset the Palestinians. PLO chief and PA chairman Mahmoud Abbas and his cronies insist that the U.S. has no right to end its welfare payments to pretend refugees. They can be excused for being indignant. After all, for 70 years, the U.S. refused to recognize reality on either Jerusalem or UNRWA. For 25 years, three administrations ignored PLO support for terrorism, political warfare against Israel, corruption, and embezzlement. And now, suddenly, Trump and his team are paying attention and basing U.S. policies on reality. The Palestinians are not alone in their indignation. Over the past 25 years, as the fundamental lies at the heart of the failed peace process continued to inform the policies of successive U.S. administrations, the gamble of the peace process became the religion of the peace process. Israeli leftists, like European and American leftists, embraced the PLO’s anti-Israel narrative as an article of faith. It is all but impossible for them to walk away from it after all of these years. Moreover, the peace process’s false assumptions didn’t perpetuate themselves. Over 25 years bureaucracies were spawned in Israel and across the world on the basis of the failed peace process and its false belief that, once empowered, terrorists become model citizens and pioneers. Trump’s moves expose these bureaucracies’ incompetence, strategic blindness, and corruption. And just as Trump’s determination to ground U.S. policy in reality harms those dedicated to perpetuating fantasies, it empowers millions of people who have been marginalized and silenced for a quarter century. It gives them – Israelis, Palestinians Arabs, and Arabs in the wider Middle East – the possibility for the first time to build relations based on reality. That may not lead to fancy signing ceremonies with doves and balloons on the White House lawn. But it does provide the first realistic basis for honest and cooperative relations between Israel and its neighbors since 1993. President Trump announced the United States is cutting $200 million in annual foreign subsidies to Palestine channeled through the United Nations, followed by an announcement last Friday that the United States willwithdraw all funding from UNRWA, the UN agency responsible for Palestinian refugees. Though the White House may have eventually reduced Palestinian subsidies anyway (as a part of an upcoming overhaul of foreign subsidies in general), the significant size and timing of this particular cut tells another story, one that the media is failing to report. Palestine uses the Martyrs Fund to openly and proudly pay out $403 million per year, in large part to confirmed terrorists and their families. It’s known as the “pay-for-slay” law. If Palestine redirected those funds, it would more than double the $200 million in subsidies the United States is withdrawing. Instead, Palestinian leaders choose to allocate this portion of their national budget for terror, instead of for the basic needs of their own people. Some media briefly mentioned the Martyrs Fund with little or no explanation (Associated Press, The New York Times) while others, such as Reuters, didn’t mention it at all. Even worse, the media completely neglected to mention that the Palestinian government is also paying rewards to the killers of Americans, including to the killers of a young man named Taylor Force. First, U.S. cutbacks won’t actually cause a financial crisis. . . . UNRWA wouldn’t have any crisis at all if it weren’t outrageously overstaffed. It has almost three times as many employees as the UN High Commissioner for Refugees, though the latter agency, which cares for all non-Palestinian refugees and displaced people worldwide, serves twelve times as many people. . . . The defense officials’ second fallacy is that for Hamas to be providing services in UNRWA’s stead would somehow be bad. In reality, if Hamas had to provide services to the people it governs, it would have less money to spend on its endless military build-up, which would improve Israel’s security. That’s exactly what happened last year, when the Palestinian Authority, which had previously financed all civilian services in Hamas-run Gaza not provided by UNRWA, stopped doing so. For the first time, Hamas had to pay for civilian needs like fuel for Gaza’s only power plant out of its own pocket. Consequently, according to Israeli intelligence, it slashed its annual military budget from $200 million in 2014 (the year of the last Hamas-Israel war) to $50 million last year. . . . The final fallacy is defense officials’ desire to postpone conflict at any cost. Obviously, preventing war is usually desirable. But war with Hamas isn’t an existential threat, and in any case, virtually all Israeli analysts consider it inevitable at some point. The refugee crisis, in contrast, remains a potentially existential threat. Should the Palestinians ever succeed in mobilizing international support behind their demand that all 5 million “refugees” relocate to Israel, this would eradicate the Jewish state. The Oslo process, which started between Israel and the Palestinians 25 years ago, clearly failed to bring a resolution to the regional conflict and did not result in a peaceful coexistence between the two peoples. The nearly 1,600 Israeli fatalities and thousands of casualties during this period by Palestinian terrorist attacks and rocket fire testify to this failure. Late Prime Minister Yitzhak Rabin’s land-for-security formula did not work. Moreover, the Palestinian Authority, established within the framework of the 1993 Oslo Accords, now rules the West Bank and promotes anti-Israel hatred through its education system and controlled media. Its rival, Hamas, an Islamist organization dedicated to the destruction of the Jewish state, rules the Gaza Strip and continues the armed struggle against Israel. The chances that a new American peace plan will lead to the establishment of a stable, unified and peaceful Palestinian state are nil. The differences in positions, particularly on refugees and Jerusalem, are unbridgeable. Moreover, the PA has displayed considerable difficulties in state building, and the resulting entity borders on a failed state. The PA has failed to meet the essential test of statehood, namely monopoly over the use of force, and subsequently lost control over part of its territory – Gaza. It is hard to imagine the PA surviving without the infusion of billions of dollars of international aid, as it mirrors the deep socio-economic and political crisis of several Arab states, leaving a big question mark on the capacity of the Arab political culture to sustain modern states. The Trump administration’s decision to completely cut funding to UNRWA, the United Nations Relief and Works Agency for Palestinian refugees, is both a just and rash decision. It is just because instead of emancipating Palestinians from their refugee-dom, this agency sustains their refugee status. UNRWA is the only U.N. organization that cares exclusively for one group of refugees. Alongside the genuine assistance it provides in terms of education, health and food, UNRWA also works to ensure it will always remain in existence and helps foster the illusion that a majority of refugees will return to their villages and cities inside Israel proper. For many years, we have tried to convince our friends around the world to bring about UNRWA’s closure, and relinquish the agency’s important functions to the U.N. High Commissioner for Refugees. I spoke with U.N. Secretary General Antonio Guterres about this on numerous occasions, both in his previous role as High Commissioner for Refugees as well as in his current position. I understood from his response that this would not happen as long as the 134 member-states of the Non-Aligned Movement continue to support UNRWA’s existence, as a gesture to the Palestinians. For the Palestinian leadership, the leaders of the Arab world and many of our friends around the world, there is nothing more unifying than paying lip service to the right of return, a right they know full well will never be realized. 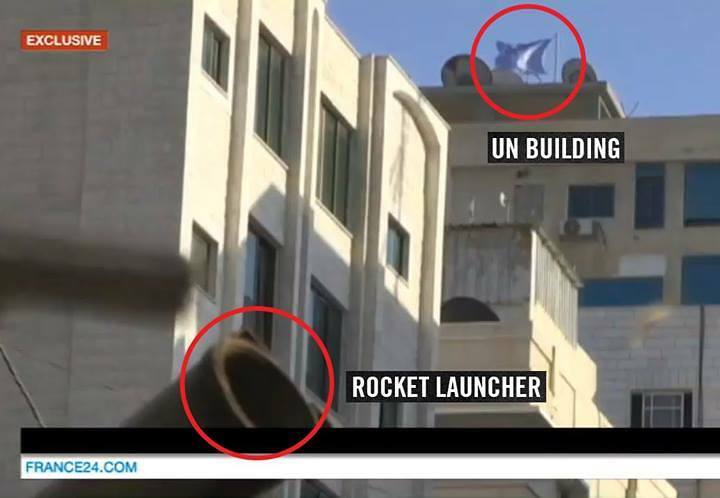 The other accusations against UNRWA are partially true. 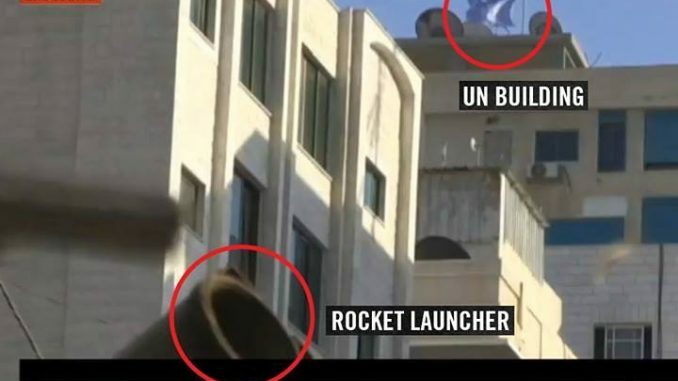 It is not a terrorist organization and it does not support terrorism, even if Hamas’ military wing has taken advantage of the proximity of UNRWA’s hospitals and schools to stockpile its weapons and even if quite a few of UNRWA’s teaching and medical staff, in particular in the Gaza Strip, support the terrorist organization. When he turns to the  Islamic Revolution, [Amanat] does not whitewash reality. He discusses the recruitment of children to the frontlines of the Iran-Iraq war and the televised confessions forced by Iranian authorities engaged in post-revolutionary purges. Amanat is weakest, [however], discussing the relationship between the United States and Iran. He describes the beginning of the embassy-hostage crisis but glosses over its end. He sometimes gets [individual] episodes wrong: the Iran-Contra affair originated in a desire to influence a post-Khomeini order, not simply to check Soviet influence, and it was German and Dutch firms, not the United States, that shipped chemical-weapons precursors to Saddam Hussein’s Iraq. And like many of his academic peers, he prefers simply to ignore terrorism: Iranian-sponsored terrorist groups such as Hizballah are mentioned only in passing and only in the context of the arms-for-hostages deal. There is no mention of the attacks that post-revolutionary Iran has sponsored from Buenos Aires to Beirut to Bangkok. . . . While Amanat’s narrative is excellent, especially up to the Islamic Revolution, sins of omission and his political agenda erode the credibility of his treatment of recent history and, more broadly, undermine what could have been the definitive book on modern Iran. The case of Abu Jhaisheh is neither new nor unique. 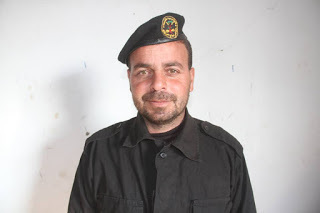 In fact, his experience is part of a systematic campaign waged by both the Palestinian Authority (PA) and Hamas to silence their critics and deter Palestinian journalists from criticizing their leaders — a campaign that has long been ignored by the Western mainstream media, whose representatives choose to pretend that the PA and Hamas security agencies are somehow innocent of any wrongdoing. “Failure to prosecute violators of media freedoms is not only a breach of human rights and prevents the attainment of justice, but it is also an indirect authorization to continue committing such violations.” — Palestinian Center for Development and Media Freedoms. Greenblatt’s words concerning Trumps “deal of the century” were published in three different publications: in English on the Jewish Telegraphic Agency, in Hebrew in the the Israeli newspaper Israel Hayom and in Arabic in Asharq Al-Awsat, an international Arabic newspaper headquartered in London. “That does not make resolving this conflict any less important,” wrote the co-head of the Trump’s delegation after listing all of the conflicts plaguing the region. “The prevailing stance of the Arab world (with the exception of Egypt) was, as it had been for decades, aggression and war with Israel. Some 35 years later, however, there is a different reality,” wrote Greenblatt concerning the regional unity in the midst of a common enemy. Joint List leader Ayman Odeh asked for the European Union to condemn Israel for passing the Jewish Nation-State Law and demand its immediate repeal Tuesday in a meeting in Brussels with EU Foreign Policy Chief Federica Mogherini. Odeh told Mogherini that the new law harmed Israel’s Arab minority and made it harder to achieve equality. Odeh told her that the usage of the words “the land of Israel” in the law harms attempts to achieve peace between Israel and the Palestinians, because it includes the West Bank. A Joint List spokesman said Odeh and Mogherini also discussed socioeconomic discrimination against Arabs citizens of Israel, house demolitions in the Negev, and what he termed anti-Arab incitement by Prime Minister Benjamin Netanyahu and his cabinet ministers. Odeh accused government officials in Israel of trying to get his meeting with Mogherini canceled. He said he was grateful to Mogherini for meeting with him. But an EU spokesperson downplayed the importance of the meeting and did not confirm the impression Odeh received from Mogherini. The EU spokesperson said a wide range of issues were discussed in the meeting, including EU-Israel relations, the Middle East peace process and domestic developments in Israel, including the Nation-State Law. The 2015 pact was a “bad agreement in every respect except for one – it brought us closer to the Arab world on a scale that we never knew, and one of our goals is that it continues,” he said. “Another important thing is, of course, the fact that there is a gradual normalization with leading countries in the Arab world,” Netanyahu added. The prime minister, who is also acting foreign minister, was addressing diplomats at the Foreign Ministry during an event marking the Jewish new year. He also said that Israel’s standing in the world was improving, a process he predicted could lead to peace. In May, US President Donald Trump withdrew from the Iran deal, which had been signed by his predecessor Barack Obama and other world powers, and began restoring US sanctions. The move has exacerbated a financial crisis in Iran that has sent its currency tumbling. The Philippines’ leader’s visit has been criticized in Israel, partly due to comments he made in 2016, when he said he would “be happy to slaughter” millions of drug users in his country and likened himself in that context to Hitler, who also slaughtered millions. He later apologized for having mentioned Jews, but not for his endorsement of mass killings of those in the drug trade. Most visiting dignitaries from relatively minor countries get little to no coverage in the mainstream international press. However, it comes as little surprise that some media have focused on Duterte’s Israel trip given the potential for negatively associating such a contentious figure with Israel’s own leadership. But was there really a ‘blossoming friendship’ between Netanyahu and Duterte? Despite the many controversies, on Monday Mr Netanyahu highlighted the two country’s historical friendship, including the Philippines’ decision to vote in favour of Israel’s establishment in 1947, becoming the only Asian country to do so. “We remember our friends and that friendship has blossomed over the years and especially over the last few years,” Mr Netanyahu said, after signing three agreements on trade, science and care-giving. We pointed out to The Independent that Netanyahu was, in fact, referring to the friendship between Israel and the Philippines and not the personal relationship between the two leaders. As a result, the headline has been amended to more accurately reflect this. The combination of lawlessness, rapid growth, and radicalization combine to form Regavim’s worst-case scenario, in which a large, fiercely Islamic population identifies more with the Palestinians than with the State of Israel. “Essentially you will lose the Negev,” Kahn said. Minister of Construction Galant appears to share this view. A year and a half ago he proposed building five new settlements in the Negev to strengthen the Jewish presence there. Galant’s plan was reminiscent of one proposed by then-agricultural minister Ariel Sharon in July 1980, who warned the Knesset Foreign Affairs Committee that five new settlements would need to be set up to prevent Bedouin intrusion into state lands and block Arab continuity between the West Bank and Gaza. A joint Palestinian-Israeli industrial and commercial center is set to be built near the Teneh Omarim settlement located in the Mount Hebron Regional Council, in a venture intended to bolster job opportunities for Palestinians and boost the Israeli economy. The mixed industrial hub will receive government funding and is expected to serve as a model of Israeli-Palestinian economic cooperation that will be presented at a conference of US-led finance ministers in the World Economic Forum in Davos in January. Finance Minister Moshe Kahlon (Kulanu) met on Wednesday in Washington with the US Secretary of the Treasury Steven Mnuchin, along with President Donald Trump’s special Mideast envoy, Jason Greenblatt to flesh out the details of the plan. The three discussed augmenting economic cooperation between Israel and the Palestinians with American support, a cornerstone of the Trump administration’s long-waited peace plan, which has yet to be unveiled. Palestinians are to significantly benefit from the project, according to its architects, which will offer work opportunities to thousands who are seeking employment. According to statistics, that figure currently stands at around 9,000 and is expected to climb to 15,000 by 2020. According to a report in Yediot Aharonot, the court discussed the petition and heard the opinion of senior naval and intelligence officers, who unequivocally claimed that when any ships reach the Gaza Strip, they immediately pass on to Hamas. At the end of the hearing, the court decided that two of the ships, “Freedom” and “Karstein,” would be confiscated if they were caught by the navy. At the end of July, the navy took control of the flotilla and the ships were transferred to Ashdod port. In recent days, the court ruled that the ships would be auctioned and that the money received from them would be distributed between the two families. A Palestinian man armed with a knife was shot dead as he approached a group of Israeli soldiers in the West Bank settlement of Kiryat Arba on Monday evening, the army said. “An initial investigation revealed that the terrorist took out a knife and walked toward a group of soldiers at the Givat Avot checkpoint in Hebron. The soldiers opened fire at him,” the military said in a statement. Palestinian police identified the man killed as Wael al-Jabari, 27. Video from the scene showed the alleged assailant wrapped in a black plastic body bag after he was shot dead. The Givat Avot neighborhood and checkpoint lie between the Kiryat Arba settlement and the city of Hebron. In an effort to broaden its audience and tone down overly pro-American sentiment, an upcoming biopic of astronaut Neil Armstrong features former Palestine Liberation Organization president Yasser Arafat as Apollo 11’s lunar module pilot. While retired US Air Force Colonel Buzz Aldrin was in fact the pilot and second man to walk on the moon, the directors of “First Man” said that focusing the story of the moon landing on two Americans would undercut the global nature of the achievement. The film had already faced criticism for leaving out the historic moment in which Armstrong planted the American flag on the moon. But an earlier cut of the movie, according to Chazelle, saw the astronauts planting the flags of every UN member state, with Armstrong joined on the moon by world leaders ranging from China’s Mao Zedong to India’s Indira Gandhi. These scenes, however, did not make the final cut. An Egyptian man was arrested outside the US Embassy in Cairo on Tuesday after chemicals in his backpack caught fire, in what authorities said was a botched attack. No one was harmed in the incident, which took place just outside the heavy blast walls that surround the embassy in Garden City, a leafy neighborhood in the heart of the capital. The US Embassy is next to the British Embassy, which is also heavily fortified. The report is complex and details the IDF’s overall level of fitness and the ability of each of the IDF’s divisions to fight. It was signed by the generals of the General Staff. The document, classified as “extremely confidential,” is submitted annually to the Prime Minister, the Minister of Defense, the members of the Political Security Cabinet and the members of the Knesset Foreign Affairs and Defense Committee. Following pressure on Iran and in accordance with an agreement between Israel and Russia, Iranian forces were moved back to a position no closer than 50 miles from the border with Israel. In addition, the IDF has admitted that it has carried out about 200 strikes in Syria. According to a report on Israel’s public broadcaster KAN, Washington asked Israel several weeks ago to not carry out any air-strikes in Iraq, weeks before reports surfaced that Tehran had deployed ballistic missiles capable of hitting Saudi Arabia and Israel. A report by Reuters over the weekend stated that Iran had transferred ballistic missiles to Shi’ite proxies in Iraq over the course of several months, and that it is developing the capacity to build missile manufacturing facilities as well as train militia groups to operate the weapons. The missiles that were said to have been transferred include the Fateh-110, Zolfaqar and Zelzal types, which have ranges of 200-700 km., allowing them to threaten both Saudi Arabia and Israel. Despite new US sanctions placed on Iran meant to pressure Tehran over its military activity in the Middle East and its ballistic missile program, the Islamic Republic is continuing to improve its missile arsenal. It recently unveiled a new generation of short-range Fateh missiles called al-Mobeen or “The Divine Conquest” which is said to have a range of 300-500 km. U.S. President Donald Trump on Monday warned Syrian President Bashar Assad and his allies Iran and Russia not to “recklessly attack” Syria’s rebel-held Idlib province, warning that hundreds of thousands of people could be killed if they did. Assad is reportedly preparing a phased offensive to regain Idlib. The northern province and surrounding areas are the last major enclave held by insurgents fighting Assad, who has been backed by both Russian and Iranian forces in Syria’s seven-year civil war. They area in question is home to some three million civilians. Trump has sought better relations with Russia since taking office in 2017, but the U.S. has been unable to rein in Moscow’s military and diplomatic support for Assad. Hicham Nostik, who goes by the Internet identity of “Moroccan infidel” on social media, recounted the transformation he underwent after coming to Germany. Spending time with mujahideen at the mosque where he was living, “I turned more religious and became acquainted with the dark side of Islam,” he told Egyptian-German scholar Hamed Abdel-Samad, on whose “Box of Islam” Internet show he was interviewed. “We were going to implement the shari’a and conquer Germany,” he said, describing the “hypocrisy” of using “the rhetoric of peace and love” when talking to non-Muslim Germans. “I was living in the graveyard of history. I was dead,” he said. It was only when he enrolled in a Christian university – in the hope of converting people to Islam – that he realized “that my understanding of Christianity had nothing to do with theirs.” Hicham Nostik summed up his position: “It is inconceivable that a God, who is supposed to be merciful, and more compassionate than a mother toward her child, would sell people in the marketplace, and legalize slavery and all those barbaric punishments, like the killing of apostates.” The show aired on August 12, 2018.